Implants provide a strong foundation for replacement teeth that are made to match your natural teeth. Make your teeth look their best with whitening only a dentist can provide! We have in-office and at-home options. Dr. Jeffrey Wittmus, owner of Grateful Dental, practices comprehensive bioesthetic dentistry at affordable prices in a convenient Chicago location. 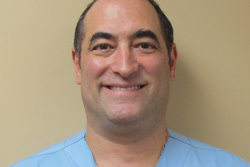 Dr. Wittmus is a Northwestern University Dental School alumni ’91. He is a Misch International Implant Institute Surgical Fellow. He is also an International College of Oral Implantologists Fellow, as well as a Gordon Christiansen Fellow. 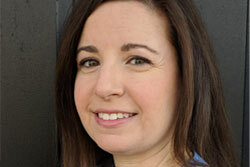 Dr. Wittmus has been an Academy of Dentistry International Fellow since 1995. He has lectured and trained dentists in Armenia for 18 years. Dr. Wittmus also has mentored dentists in Scottsdale, Arizona as a member of the Frank Spear Faculty Club. He has been a high tech dentist utilizing digital x-ray sensors for 18 years, and Cerec one visit dentistry for 12 years. Dr. Wittmus provides a full range of dental services including non-surgical periodontal therapy using ultrasonic scalers and diode lasers. He is also an Invisalign Preferred Provider. We are in-network with the following insurance companies including Guardian, Assurant, Blue Cross Blue Shield PPO, Principal, Cigna, and Aetna. We are furnished with state of the art equipment and maintained at the highest standards. What can I say that hasn’t already been said? Everyone at Grateful Dental was fantastic. In no time, I was sitting in the dentists chair and getting the process started. It was painless and my mouth feels like a million dollar smile. I had a wonderful experience from beginning to end. I even go myself a goodie bag! I just want to thank you tremendously for getting me in, for your patience, caring ways/kindness, great personality/sense of humor and knowledge that goes even beyond the 3D way of life. It was such a pleasure meeting you and your beautiful, patient staff- val and Julie (such angels)! It’s unfortunate I didn’t see/meet you earlier, but needless to say, I’m grateful (no pun intended) for having manifested you into my life at the present moment and will spread the love of your practice to others I know! Truly thank you- I have never experienced a dentist like you and I’m glad you created a benchmark as to what to look for in a dentist/in people overall. Thank you for your guidance! I thoroughly enjoyed the short 2 visits I had. Dr Wittmus is extremely knowledgeable about his profession. You can ask him any question and he can answer it with confidence and explain it simple terms so you can walk away with an understanding. They make sure to give you friendly reminders of your appointments and answer questions you need answered.. Overall, Dr Jeff is like an extended part of our family and treat us like one in return. You can tell he loves his job and it shows in his work. My family and I completely trust him with our dental care. I highly recommend him! 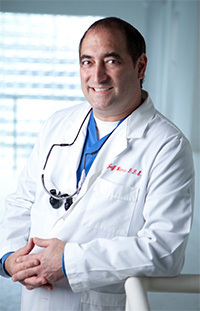 Dr. Wittmus received his Doctorate in Dental Surgery from Northwestern University in 1991. He also received a Bachelors degree in Zoology at Miami University in Oxford, Ohio in 1987. Prior to opening his general practice in 1993, Dr. Wittmus served as the Oral Surgery resident at Meriter Hospital in Madison, Wisconsin. In 1995 Dr. Wittmus received a Fellowship with the Academy of Dentistry International. In 2007 he received the Gordon Christensen Fellowship. Dr. Wittmus was former chairman of the peer review committee for the Chicago Dental Society. 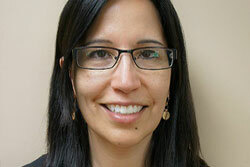 Dr. Calderon graduated with Dr. Wittmus from Northwestern University Dental school, class of 1991. Dr Calderon lives with her family and dog, Brandon, in Lincolnshire. Lauren has been working with Dr. Wittmus for 20 years. She lives with her husband and 3 daughters in Chicago. 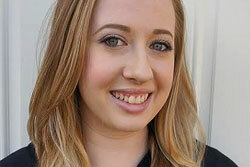 Annie is a pre-dental student at the University of Illinois and is majoring in Biology. She has a daughter and lives in the neighborhood. Natalia, a dental assistant, is also a licensed esthetician. She has a Boston Terrier named Jackson and lives on the north side of Chicago. 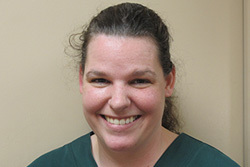 Chris received a Bachelor in biology in 1998 from Saint Xavier University and her dental hygiene certificate from Prairie State College in 2001. Before becoming a dental hygienist, she worked as a dental assistant and held the position of territory manager for Warner-Lambert Pharmaceuticals. Chris’ post-graduate certifications include dental anesthesia, nitrous oxide delivery and proficiency in laser therapy. 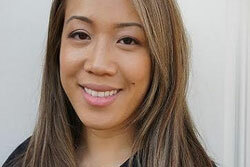 She is passionate about her profession and strives for excellence by keeping herself current with all dental innovations and medical-dental research. Chris likes to bake and spoils the office with her yummy baked goodies! We have convenient free patient parking! We are public transportation accessible! Bus 85A stops in front of our office! We also speak Spanish, Greek and Armenian!